Standard Nylon training collar with one ring on each end of collar. This collar has to be placed over the dogs head. 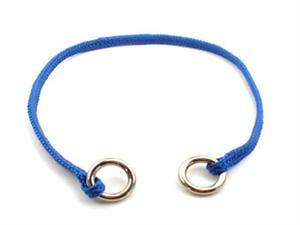 The size of regular two ring training collars is measured between the rings- fabric only -rings are not included in measurement. Your order will be held up if the proper size does not match with the item number. We have the right to correct the item number and pricing to match the size you ordered. Please make sure that the size you order is the correct item number. 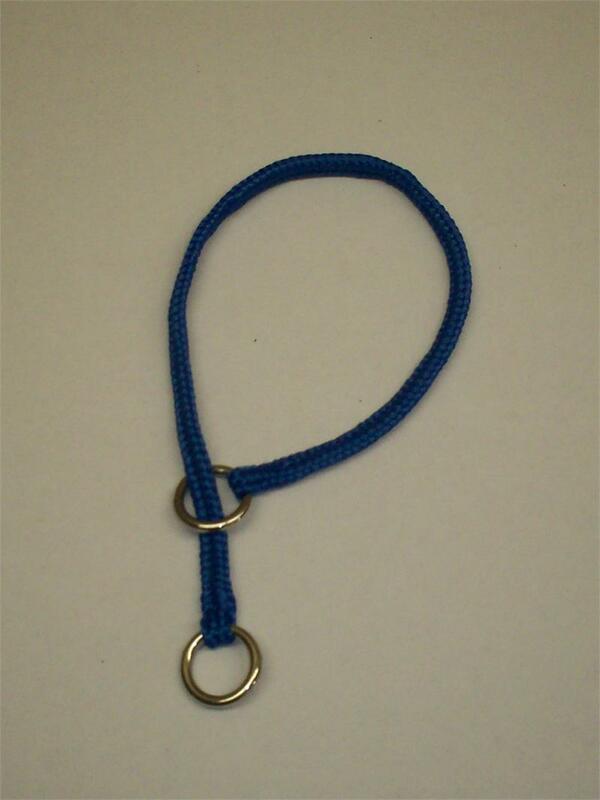 Nylon String Leads 1/4" (6.35mm) width 1/4" width. Used primarily for toy breeds. Lightweight. Matches our Snap-Around and Two-Ring training collars. Available in Small Bolt Snap.